Beyonce and Jay Z took the crown on Forbes magazine’s World’s Highest Paid Celebrity Couples list for the second year running, after earning a staggering $95 million together. 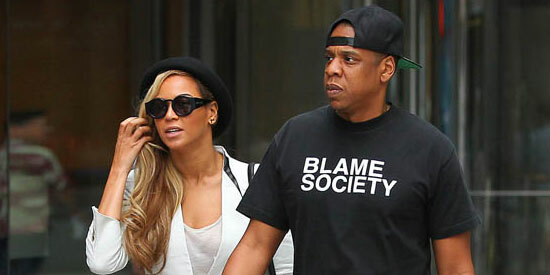 Beyonce Knowles and Jay Z have topped Forbes magazine’s World’s Highest Paid Celebrity Couples list 2013. The "Single Ladies" hitmaker and the rapper—who also owns record label Roc Nation—took the crown for the second year running. They earned a staggering $95 million together in the financial year June 2012 to June 2013, after their tours, businesses, and endorsement deals saw them rack up $17 million more than last year. Jay Z’s collaborative effort with Kanye West, "Watch The Throne," spurned a platinum-selling album and a world tour which earned $1.4 million a night. Beyonce—who took a year’s hiatus after giving birth to Blue Ivy in January 2012—earned $2 million a night for her current The Mrs Carter Show world tour. The power couple earned $15 million more than Gisele Bundchen and her footballer husband Tom Brady, who came in second place with combined earnings of $80 million. The supermodel out-earned her partner by $4 million as her line of flip-flops with Brazilian label Grendene—in which she owns shares— helped double her wages from last year. Meanwhile, Angelina Jolie and Brad Pitt earned a hefty $50 million despite the fact that they do not own any large businesses. The couple—who have six children together: Shiloh, 7, Maddox, 12, Pax, 9, Zahara, 8, and Knox and Vivienne, 5—pulled in the majority of their income from film fees, while Brad Pitt earned a reported $7 million for his Chanel no.5 advert last year.